Bio: Scott McCormick is a founding partner of Float. Building on more than 30 years of experience in training, eLearning, and mLearning efforts for Fortune 500 companies, Scott helps companies embrace new learning strategies and deliver results. Scott is in charge of client relationships with global leaders in healthcare, manufacturing, hospitality, and insurance, and is instrumental in building new business and contributing to Float’s thought leadership efforts. Scott is featured in Float’s latest book, “Mastering Mobile Learning,” available from Wiley and ASTD Press. More organizations are trying mLearning (but through the path of last resistance), and the Experience API is quickly gaining ground. Scott McCormick recaps Chad Udell's series of articles for ASTD about the benefits of using mobile learning for sales enablement. How you can use lessons from Dan Pink's "To Sell is Human" for your next mobile learning project. Scott McCormick looks at three truths in implementing any mobile learning strategy. They all start by simply look at your device. Scott McCormick discusses three ways to unleash the full power of enterprise mobile learning. 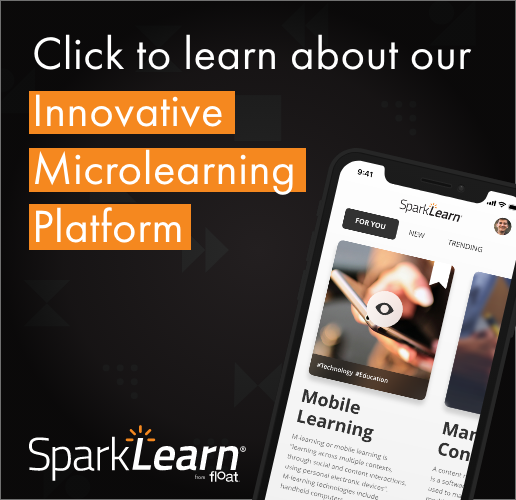 In his second and final post on mLearning resolutions, Scott McCormick urges you to set five more mobile learning goals for you and your team. One of Float's founders, Scott McCormick, discusses successful mobile learning implementation in the enterprise.